Courts hold employers responsible for maintaining a safe workplace. This training defines Harassment in today’s workplace and explains when actions become reportable. Learners will know how to proactively prevent harassment and how to deal with it if they see it happening. By taking effective and consistent care to prevent harassment, you and your company are more likely to avoid claims, and/or limit liability for damages, and unfavorable publicity. November is Role Model Month. This is a great time to identify and think about your organizational role models and the tone they set for the employees around them. In most organizations, people tend to respond and follow their leaders’ guidance. Leaders will most often set the tone for daily interactions and have a profound impact on who employees look to for answers or direction. If a leader is frequently absent, employees will look to the individual next in line or the employee they see with the greatest influence or clout. This is not to say that everyone blindly follows whoever gets the most “yeses,” or whoever happens to show up for work. But, I use this merely to illustrate these perceived individuals of influence, whether employees with management titles or without, are serving a pseudo role model position in your organization. Now that you’ve had a moment to think about who those individuals may be in your organization, think about others who may be displaying the same behavior and attributes as those individuals you have identified. How might this have affected individual or group behavior of other employees around them? Is it positive or negative? Is it the behavioral norm you have in mind for your organization? Are you happy with the result and does this sync with your organizational core values? Information is a powerful tool to help manage your work environment and foster the culture you desire. Consider a confidential employee survey to help identify the top role models in your company and individual work areas. By adding an opportunity for constructive comments, the results will produce meaningful feedback at multiple levels and provide a good overview of the real work environment where your employees live and work every day. Contact Karen Larsen at HR-TABS to learn more about employee surveys and how they can benefit your organization. Looking forward to working with you! 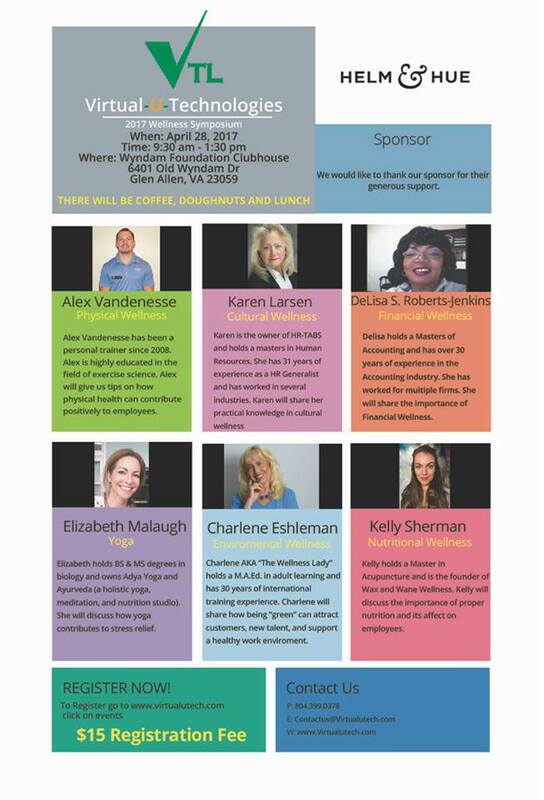 HR-TABS, LLC, Glen Allen, VA.
Thursday, October 19th 2017 was the Goochland Business Expo at the Boy Scout Camp on Maidens Rd Goochland, VA. Thank you to PRO Richmond for the opportunity to exhibit on June 8, 2017 for “Meet the PROs.” It was a good show and a great opportunity to meet other PRO members and local professionals. Congratulations go out to Pavis D. Narcisse, P.E.,Owner of Narcisse Electrical Engineering Design Services NEEDS, LLC, Michael Mitchell, Owner of Business Research, and Walter Cornett, Owner of Richmond PRO for each winning the “HR-TABS Fishbowl” business card drawing for two free hours of HR consultative services ($300 value), good any time between now and December 31, 2017. Do you need talent for your writing, editing and community relations position? Look no further! Call Karen at 804-405-5003 for information on an excellent candidate I know who is currently available and looking just the right opportunity. This is a Master’s level candidate with over 7 years of experience. Career Prospectors — visitors welcome! Career Prospectors is a networking group comprised of individuals who support each other during job transition. We meet every Tuesday morning at St. Michael’s Catholic Church, 4491 Springfield Road. Coffee and networking begin at 7:30 a.m. and the weekly program starts at 8:00 a.m. Our Meetup calendar lists other opportunities beyond the core weekly events. If you’d like to join our Meetup group in order to see our calendar and register for workshops and events, please email Charlie Wood. JAM (Job Assistance Ministry) — Newcomers welcome! JAM’s services are available to all job seekers. We host weekly meetings each Wednesday at 12:00 p.m. in the fellowship hall at St. Michael Catholic Church, 4491 Springfield Road, Glen Allen. Questions about JAM can be emailed to Ed Landry.